ACTIVITIES: Do NOT plan or permit activities for your child after treatment. Allow your child to rest. Closely supervise any activity for the remainder of the day. When sleeping, encourage your child to lie on his/her side. Always ensure patient’s airway is open while sleeping. Check on patient every 20-30 minutes, by alerting him/her with sound or touch. GETTING HOME: Your child must be accompanied by and in the care of a responsible adult after sedation. Your child should be closely watched for signs of breathing difficulty and carefully secured in a car seat or seat belt during transportation. DRINKING or EATING after TREATMENT: After treatment, clear liquids can be given (fruit juice, ginger ale, sugar-free Kool-Aid, Gatorade, soup broth, etc). Small sips taken repeatedly are preferable to drinking large amounts quickly. Soft, luke-warm, bland food may be taken when desired (mashed potatoes, yogurt, soup, pudding, ice cream, popsicles, etc.). Intake of food should be half of what he/she normally eats. Please allow up to 3 hours for anesthetic (numbing) to wear off before allowing child to eat normal foods. If patient has only had topical numbing, then he/she will be able to resume normal eating after treatment. Our topical numbing usually lasts 30 minutes or less. TEMPERATURE ELEVATION: Your child’s temperature may be elevated to 101 F (38 C) for the first 24 hours after treatment due to dehydration. Tylenol every 3-4 hours and fluids will help alleviate this condition. Temperature above 101° F (38° C) is cause to notify our office. EXTRACTIONS: It is normal to see a small amount of bleeding if your child had teeth removed as part of their procedure. Motions such as spitting or sucking may disturb the protective blood clot, so please do not let your child spit or drink from a straw, as this will cause more bleeding. In order to not disturb the blood clot, do NOT use a straw to drink for the first 24 hours. Also, remember that a small amount of blood mixed in with a lot of spit in the mouth looks like a lot of blood. SEEK ADVICE: If any of the following problems arise, call our after hours call phone 615-351-8218, if no one can be reached, call the Emergency Department at your local hospital – IF vomiting persists beyond four (4) hours· If the temperature remains elevated beyond 24 hours or goes above 101° F (38° C). If there is any difficulty breathing or coloration of the skin is poor, or If any other matter causes you concern. DRINKING or EATING after TREATMENT: After treatment, clear liquids can be given next (fruit juice, sugar-free Kool-Aid, Gatorade, ginger ale, soup broth, etc). Small sips taken slowly are preferable to taking large amounts quickly. Soft, luke-warm, bland food may be taken when desired (mashed potatoes, yogurt, soup, pudding, ice cream, popsicles, etc.). Intake of food may be half of what he/she normally eats. PAIN: You may give children’s Tylenol, ibuprofen OR doctor prescribed medication. Minor discomfort is to be expected after dental surgery. Some redness and inflammation of the gum tissue is to be expected for up to a week. Please have child refrain from picking and/or putting hands in mouth to ensure proper healing of the gums and teeth in a timely manner. EXTRACTIONS and/or CROWNS: A small amount of bleeding is normal. Do NOT let your child spit, as this can cause more bleeding. In order to not disturb the blood clot, do NOT use a straw to drink for the first 24 hours. Also, remember that a small amount of blood mixed in with a lot of spit in the mouth looks like a lot of blood. An old blanket or towel may be placed under child’s head while sleeping. NUMBNESS: Some areas treated today may be numb from local anesthetic. Please allow up to 3 hours for anesthetic (numbing) to wear off before allowing child to eat normal foods. HYGIENE: Starting tomorrow morning, wipe the teeth off with a warm, wet cloth after your child has eaten. The next day, begin gentle brushing as you normally do twice a day. Mild bleeding is to be expected. This is normal and is important to the healing of the gums. 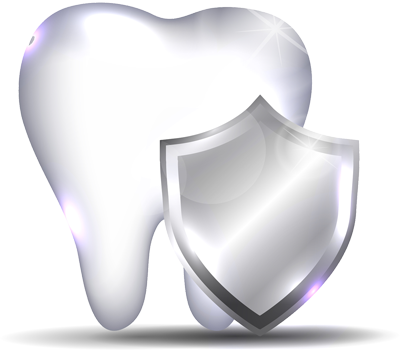 Good oral hygiene is imperative for good gingival health. SENSITIVITY: Mild sensitivity to hot and cold is to be expected after dental surgery for up to a week. SWELLING: Some minor swelling of the lips and face can occur after dental surgery. This swelling should subside within 24 hours. TEMPERATURE ELEVATION: Your child’s temperature may be elevated to 101 F (38 C) for the first 24 hours after treatment due to dehydration (decreased urine output, constipation, or dizziness, etc.) Tylenol every 3-4 hours and fluids will help alleviate this condition. Temperature above 101° F (38° C) is cause to notify our office. DIARRHEA OR VOMITING: Diarrhea or vomiting may occur. However, if patient has had moderate diarrhea for 24 hours or more OR can’t keep down fluids, please contact our office at 615-740-8812. REACTION TO LORTAB: Your child could have an allergic reaction (hives or rash) to the hydrocodone in Lortab. In some cases, the hydrocodone may cause hyperactivity. You may try a ½ dose first. If hives and/or rash persists, discontinue use of the Lortab and consider Benadryl. If you notice any breathing problems……PLEASE GO TO NEAREST EMERGENCY ROOM.